This product is for all those gamers that need a tree base for the hundreds of trees out there. 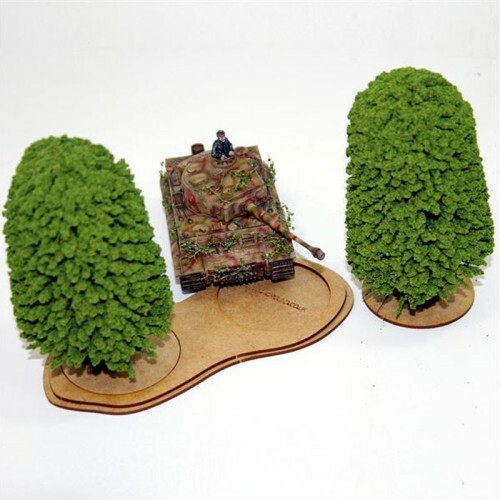 With the Small Tree Base you can get those woods made. 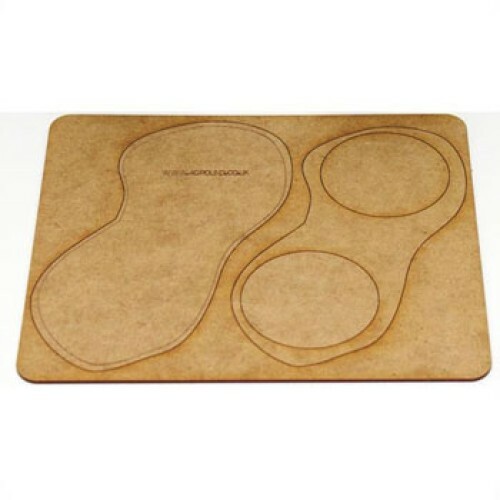 Each base comes with two 60mm diameter bases that can be removed from a layer of 2mm MDF top base. Having the trees able to be removed makes for easy game play, no longer do you need to place your men around fixed trees or remove loose trees and lose the woods position. The top base is glued to a base that is a few millimetres to give a slight gradient. Our Large Tree Base and Small Tree Base has been designed so they can be placed side by side making a large wooded area. 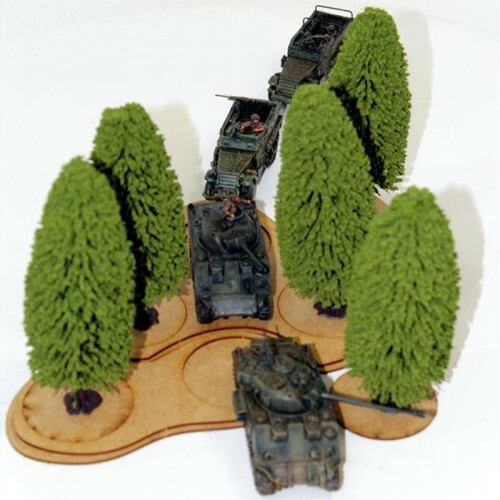 28mm Scale models supplied unassembled and unpainted. Miniatures and trees not included.